Incorporating reading workshop into your curriculum is easy once you have access to lots of great books for your students. Some of you might be lucky enough to have a wonderful librarian at your school who cultivates a diverse collection of books (like I was last year), but others may be without that (like I am now). After running into dead ends with our school and public libraries, I thought the best solution was to focus on building my own. Anyone who is a reading fiend like me knows that books are expensive. Because I haven’t won the lottery yet, I had to seek alternative means for funding my future fabulous library. Great suggestions from Amy and Erika led me to Donors Choose, an amazing charity website that funds classroom projects for teachers. Writing grants on this website has netted me over $1,500 worth of books of my choice! 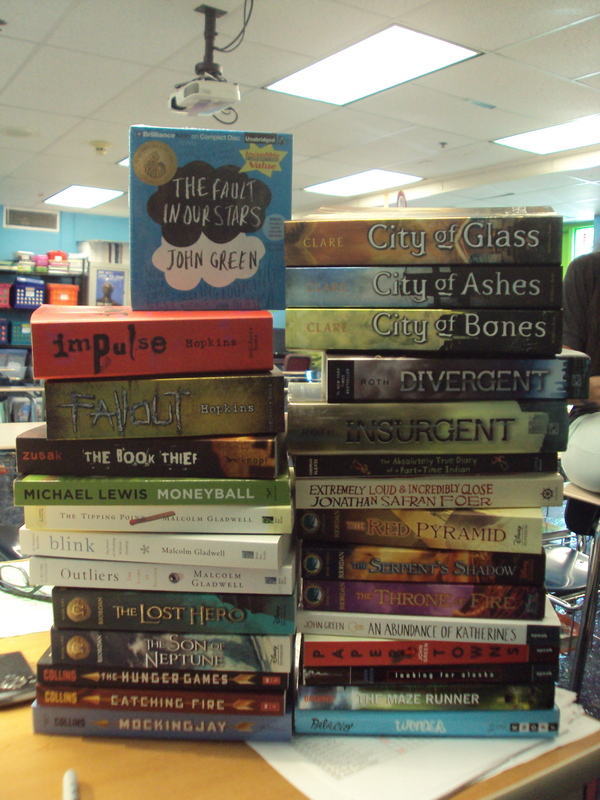 I also had great success with Half Price Books, who donated hundreds of young adult and teen novels to my classroom. 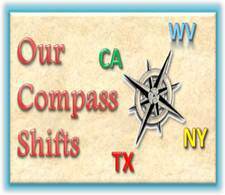 Lastly, I’ve tapped an unusual resource–local businesses. Large companies like Target, Sam’s Club, and Kroger have a budget they can only use for donations, and anything they give is tax deductible. I wrote letters to these businesses explaining my needs, and they have donated gift cards each month, netting me a total of $450 in books. All of this grant/letter/request-writing has paid off, and I’ve been able to build a large, dynamic library. 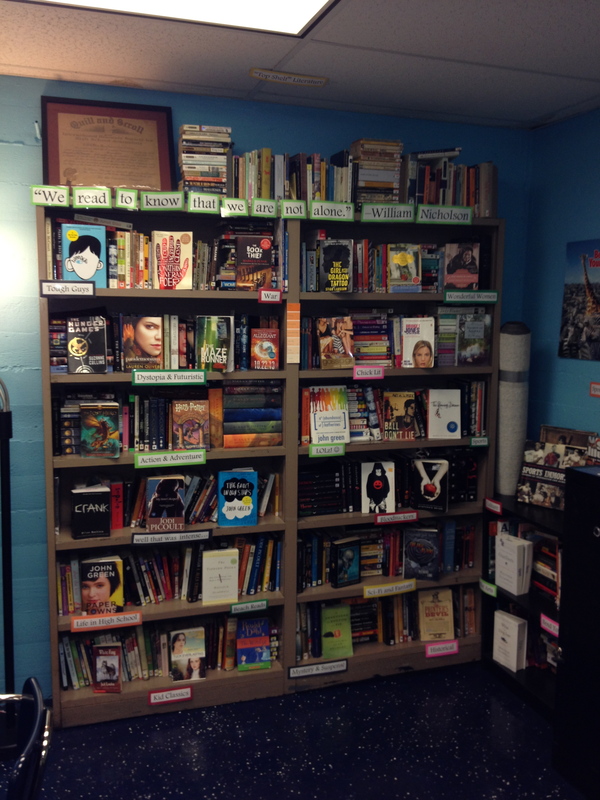 Once I had my books, I knew I wanted to organize them in a fun way that spoke to my teaching style. My students and I came up with some inventive categories–“Top Shelf Lit” (classics, which are actually on the top shelf), “Bloodsuckers” (vampire novels), “LOLz” (humor), and “well that was intense” (books about death/powerful issues that will make you cry). A wonderful problem I’ll need to tackle soon is where to find another bookshelf! I’ve already written about fangirling in such a way that gets students excited and informed about books. Once a student knows what he or she wants to read, the only problem is tracking that book down. I took an idea from Emily and started a “reading wait list” whiteboard, where students can leave a public request for something they’ve been clamoring for. In terms of determining who’s got what, I have a binder that lies on the cabinet near the bookshelf where kids check books in and out. Because I show them my grants and letters, and I rip open the boxes of freshly-delivered books in front of them, they can see the hard work being done to build the library. I think that’s what makes them so conscientious about returning books, because they’ve been great about that so far. Once you’ve built your library, and once your students are reading the books they’ve been dying for, you have to somehow keep track of all that they’re doing. 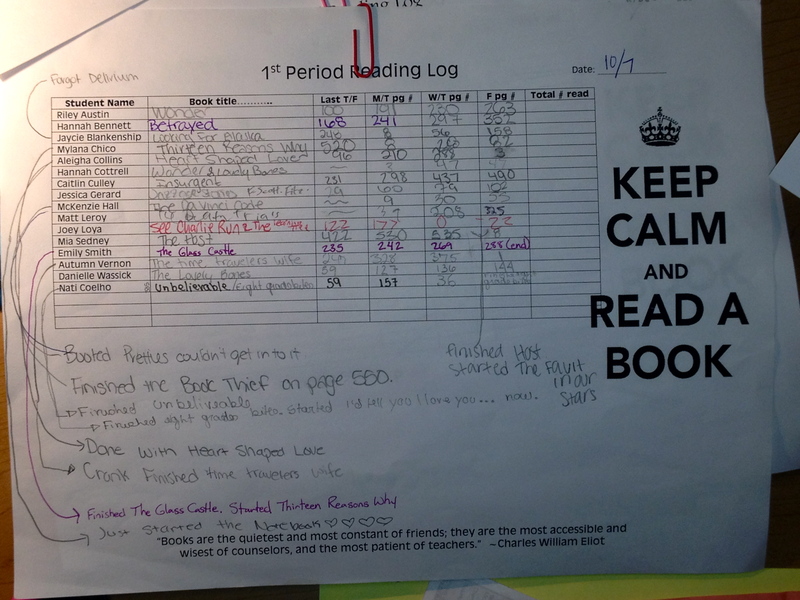 I’ve modified Penny Kittle’s excellent reading log sheets just a bit to make tracking my students’ reading easier. These logs get passed around every bell, and students write down what page they’re on of their independent reading book. I’ve added a “Last Friday page #” column, in which they copy down their latest page number from the previous week. This makes giving them credit for weekend reading much simpler. At the end of the week, my student Teacher Assistants count up the pages read and write them in the column on the far right. It’s a simple matter to compare this number to the students’ reading rates and give them a quick grade based on how much they’re reading (two hours per week is the requirement). …and there’s no more rewarding way to end your week than that.